Kerala rains are what people typically aspire to see. In ‘God’s own country,’ it is one time of the year when the greenery explodes, mountains are lush with spices and waterfalls are heavy. This year, however, was different. In the month of August, when most of India was busy celebrating the freedom it won from the British rule on the 72nd Independence Day, natives of Kerala were grappling to cope up with what they describe as the onset of their worst nightmare. Unprecedented rains triggered the state’s worst flooding in almost a century, destroying thousands of homes and roads. “It was a harrowing experience for us. The floods ruined our life by damaging our house and livelihood with the cattle shed,” recalls Pennamma, a 62-year-old widow, who lost her husband a couple of years ago, and is currently living with her children in Kamakshi Village of Idukki block of Idukki district. Pennamma is not the only victim. Scores of people lost their lives, several went missing, while others were rendered homeless in the otherwise docile monsoon months. As per estimates, over 160 properties were buried by landslides, while over 1,000 homes stared at massive destruction. And, as if this wasn’t enough, the travails of people went from bad to worse as the flood-affected areas remained cut off from the mainland for days altogether. “During floods, we could not go out and buy anything. 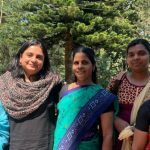 We suffered due to lack of supply in the market,” says Kavitha from Periyavarai Estate, Top hills, Devikulam Taluk, Idukki District. In an effort to help the affected people in the flood-ravaged state of Kerala get back on their feet, a slew of corporates rose up to the cause and volunteered to donate funds and materials to those in need. 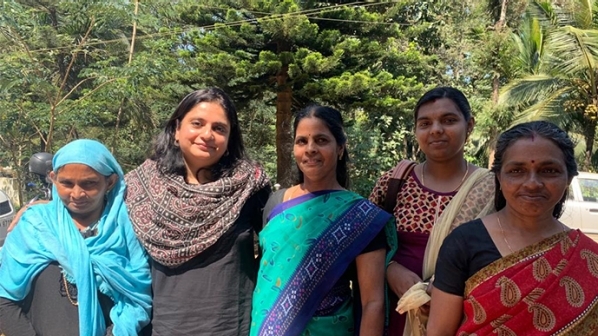 CARE India with support from The Coca-Cola Foundation took up the flood recovery programme in two of the most affected districts of Kerala – Wayanad and Idukki. The cola major pledged an amount of $6,00,000 to supply water bottles, food and necessary items to affected people in the districts of Wayanad and Idukki, as it undertook relief and rehabilitation work in the aforesaid districts under its CSR initiative. As on 15th Oct 2018, the company covered 1003 families with a total population of 5000 from five Gram Panchayats from two districts and is currently in the process of distributing relief kits to the remaining families, who will be covered before 31st Oct 2018. “In terms of distribution of relief materials, our process is robust and highly transparent. We ensure people-friendly initiatives and are accountable to the community we work for. Keeping up with these ethical practices, we have adopted our rescue operations to reach out to the affected families in Idukki and Wayanad,” says a spokesperson for Cola-Cola India. 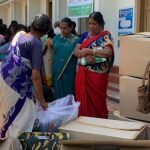 Among those affected, CARE India and The Coca-Cola Foundation have extended special support to expecting and lactating mothers, physically and mentally challenged people, aged persons and women-headed families. “The idea was to reach out to the most vulnerable people,” adds the Coca-Cola spokesperson. CARE India believes in empowering women – especially those who have been affected by disasters. In fact, its relief distribution is designed with the intention of listing out women from families, validating their status as victims of the disaster and issuing tokens in the name of these women, and also distributing the materials to the women folks of the families. For Jayalakshi from Periyavarai, Lower Estate in Devikulam Taluk of Idukki, the experience during the floods was horrific. A few months pregnant, her happiness was marred as she stared into a world of uncertainty, not knowing what her future held for her and her child. “I am five months pregnant and have suffered a lot during the floods. I had to move from house to house without proper food and shelter,” recalls the 26-year-old. For an expecting mother like Jayalakshi, it sure wasn’t an easy journey. “Thank you very much for giving me the relief kit. That was of immense help,” she adds. 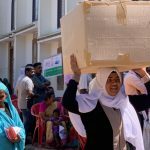 Relief distribution undertaken by CARE India and The Coca-Cola Foundation in Kerala involved a multi-dimensional approach. First, they provided kits for hygiene and shelter. While those for hygiene included materials such as soap, toothpaste, toothbrushes, washing powder and towels; the shelter kit contained mats, ropes, bedsheets, blankets and mosquito nets. For women of course, there were separate provisions for sanitary napkins as well. Apart from providing relief kits, sessions were also conducted on water sanitation and hygiene awareness, to orient women and community members on the importance of personal hygiene, hand washing, safe sanitation, usage of toilets, and solid and liquid waste disposal. In addition, the NGO and the Cola company also organised counselling sessions to help people pick up pieces of life that were swept away. After all, one would agree that post-traumatic stress disorder (PTSD), depression and anxiety are all aftermaths of a natural disaster. For 29-year-old Mahewari from 9th Ward of Munnar, Devikulam Block, a flood like this has induced fear – a fear of the unknown. Moreso because she is pregnant for the fifth time and is in the last trimester of her pregnancy. Mahewari has always had difficult pregnancies and has suffered four miscarriages in the past. Currently, proper counselling is being offered to her along with a supply of nutritive supplements so that a healthy delivery comes her way. The organisations are taking adequate measures to ensure Mahewari tides through this difficult phase. Finally, life, as they say, always goes on. For CARE India and The Cola-Cola Foundation, food, medicine and shelter constitute just one aspect of relief work, while the larger story is all about weaving a better life for the victims outside the relief camp. So, in that respect, the journey has just begun!